Early in the spring we put out three zucchini plants and two crookneck. More plants than we normally plant, but we figured we would get through them just fine. However, a freeze came along. Figuring the plants had died, we put in five more. The days were busy in the spring and we didn’t get around to pulling the dead ones for a week. When we did, they all had the beginning of new leaves, so, we let them grow. Anyone who has grown a zucchini plant knows what happened next. Nothing is as proliferate as a zucchini plant. Once it gets procreation of seed on its plant mind, it cannot shake it loose. Now, I like zucchini as much as the next guy, but after having zucchini every night for three weeks, options are tenuous. I told a recently retired friend about our hardship. He was in the process of cleaning up his library, and when he arrived at the coffee shop the next week he handed me a zucchini cookbook, with a smile. Knowing him for the gardener he is, I wondered if there was bountiful laughing behind the smile. I still do. We got by two more weeks on that cookbook though. Keeping up with the zucchini was hard during the early weeks. Impossible in the later weeks. Wheelbarrows full of squash, two or three or four feet long, headed back to the goats each week. After dumping them, took a square head shovel, and chopped them into three and four inch pieces. That worked well, the chickens and goats ate and ate, for a couple of weeks. I guess zucchini has its limits for everyone—except the soil. 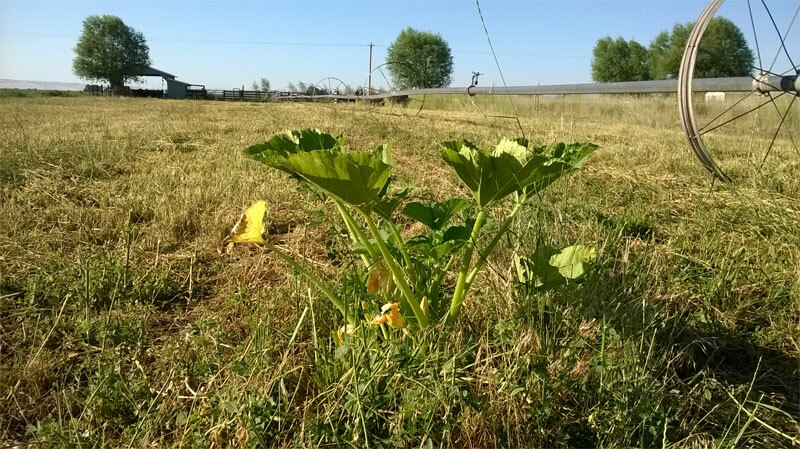 By mid-summer we found zucchini plants in the pastures. Obviously, these plants were from the last year’s natural chicken sowing efforts of the few zucchini we dumped. Which gives wonder and fear to what the soil will do next summer with the extraordinary number of seeds the chickens must be spreading this year. With zucchini stacked on the back porch, the laundry room half-full, and the hardly able to open the pumphouse door without them tumbling out, I wondered how to tell this story. Then Gene Logsdon wrote The Good, the Bad, and…the Zucchini last week. Sooner or later, every writer who grows zucchini has a zucchini story. Logsdon nails the zucchini story this year. So, instead of wondering how to tell our story, I invite you to hear a story of intrigue, humor, scheming, and zucchini’s cunning plot to invade every nook and cranny of the world. And I will go have a slice of zucchini bread. Zucchini has about as much taste as a roll of toilet paper and yet it is one of our favorite vegetables. It gives us an excuse to smother its taste with stuff we really like: butter, garlic, parmesan cheese, crumbled bacon, chopped ham, sour cream, paprika. Or hide it in omelets, soup, ratatouille and tortellini. Or dip slices in batter and fry because the batter tastes wonderful. An exhaustive worldwide search of cookbooks would most likely reveal about thirty-seven thousand ways to disguise zucchini in other food to trick people into eating it. I dream of finding a recipe featuring a large zucchini suffocating in five inches of whipped cream. Not even seed catalogs can exaggerate zucchini’s prowess in the garden. Throw a seed at bare soil and get out of the way. Once it sprouts and goes into high gear, nothing daunts it. It will shade out purslane, strangle rabbits, pull down fences and at full height, hide a small herd of deer. Fortunately it does not vine out like some other squashes do. If it did, a strand in good growing weather could beat you out the lane to the mailbox in the morning. Under optimum conditions, one plant produces enough to feed a small village. In bad weather, it takes two. A zucchini “fruit” can grow so big you may need a wheelbarrow to get it to the house. Small ones can trip the unwary and break a leg. I once grew one that— honest, now, I’m not exaggerating this time— was on the slender side but almost two feet long. I took it to a softball game and stepped up to the plate swinging it like a bat just to get a laugh or two. I am tempted to say that I lined a double to center field with it but that would be a lie and I never lie. It was only a slow roller to the pitcher. The end of the zucchini went farther than the ball. If you want to encourage children into gardening, start them out on zucchini after promising them they won’t have to eat what they grow. Anybody can succeed with it except maybe Bedouin youngsters on the desert sands of Arabia. On second thought that is not a good idea. Young people would get the notion that raising food for a burgeoning world population is not challenging enough to merit their interest. The problem is easily solved. Grow more zucchini. Corporate giants that want us to believe they are out to save the world from starvation should manipulate some genetic material rich in protein and a taste like chocolate into zucchini. No more world hunger. People who can’t stand to throw anything away should definitely not grow zucchini because no matter how clever you may be, you are not going to use up all you grow unless you own a sea-going ocean liner that needs ballast in the hold. The generous gardener can become a nightmare in the neighborhood. He or she will want to fill your porch with zucchini when you are away, surprise, surprise. If you have gardening friends, always lock your car when you visit them or you might find the back seat piled high with zucchinis when you leave. There’s the story of the fellow who decided to grow ten acres worth. 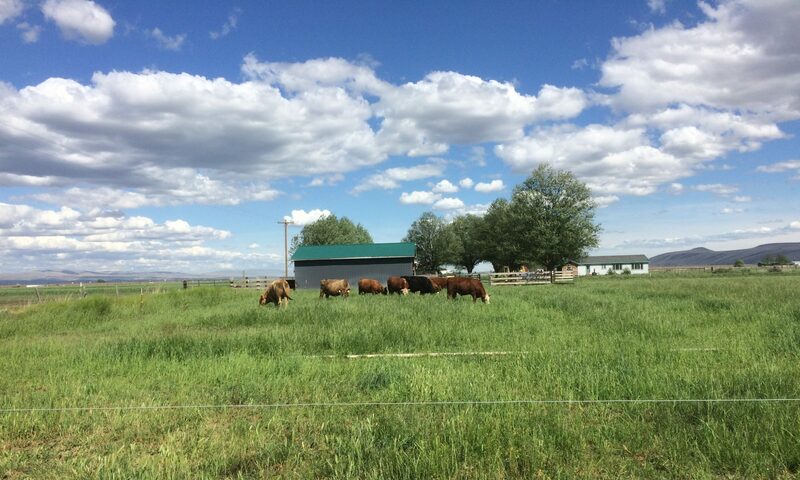 When he couldn’t sell but a small fraction of the crop— to a guy needing fill for under a new driveway— he had to abandon the field for the whole year following, waiting for those beautiful, green glistening boulders to rot enough to cut up with a disk. Dredging them from the field with a dragline would have cost more than he could make farming those acres. I love Carol’s zucchini bread. More than anything else, it proves what I am trying to say. Into it goes flour, baking powder, salt, cinnamon, vanilla, eggs, sugar, baking soda, vegetable oil and sometimes hickory nuts. The following are the exact words of our short conversation on the subject. “Why do you put zucchini into it at all?”I ask. I chuckled all through this blogpost. Even LOL’d a few times. I love zucchini all kinds of ways. When I saw that whopper zucchini in the arms of the young lady, I was reminded of zucchini pizza. A zucchini that size make wonderful base for pizza toppings to bake.